Have you considered listing on the Kidney Transplant Waiting List? Perhaps, on the other hand, you are one of the over 100,000 people with Chronic Kidney Disease who have gone through the process and is already listed at a Kidney Transplant Center, awaiting a Cadaveric (Deceased) Kidney Donor? Either way, with new rule changes you may now be dropped from the Kidney Transplant Waiting List due to age, the fact that you had already received a Kidney Transplant in the past as well as received a blood transfusion. It happened to Deb Foulkrod, at age 58 she was deemed " no longer eligible for a cadaver transplant, due to changes in the scoring system used" by her Kidney Transplant Center after 4 years waiting. An ABC affiliated news station (ABC 27) reported that she was "booted from the Kidney Transplant List." What's worse Deb, "believed she was getting close to the top" of the Transplant Waiting List. Ms. Foulkrod was told that due to recent changes by the Health Resources and Services Administration - Organ Procurement and Transplantation Network (Medicare), the way in which potential Kidney Transplant recipients are scored also changed. As you may know, KidneyBuzz.com reported these rule changes in its July 26th, 2013 article titled, Major Changes Approved for How Recipients Are Selected From the Kidney Transplant List. 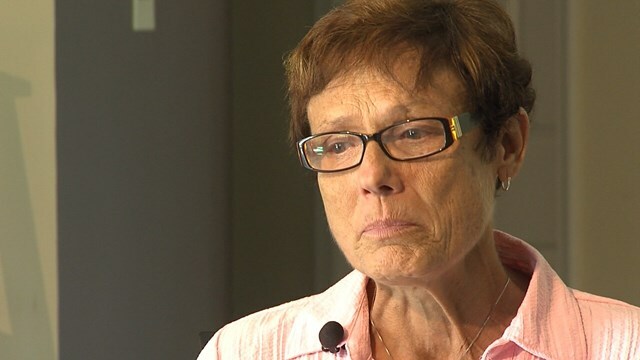 These changes have made patients such as Ms. Foulkrod ineligible for a Kidney Transplant due to age, the fact that she had already received a Kidney Transplant in the past as well as received a blood transfusion. Although, not all Kidney Transplant Hospitals calculate patient risk and mortality rates the same, many patients are being left in a position where their only option is sourcing a Living Kidney Donor. If you find yourself in this position or concerned that you may become at risk of being removed from the list at your current Transplant Center, consider getting a second opinion from another Center. Also, contact KidneyBuzz.com for more information about our "Find A Kidney Donor" Social Media Campaign which may help improve your chances of connecting with a Living Kidney Donor through Social Media. For more breaking news about how Chronic Kidney Disease and Diabetics can better manage their lives, turn to your #1 most trusted resource, KidneyBuzz.com. "Woman Taken off Kidney Transplant List." Http://cumberlink.com. The Sentinel. "OPTN: Organ Procurement and Transplantation Network."Http://optn.transplant.hrsa.gov/. Health Resources and Services Administration, U.S. Department of Health & Human Services.